Home Perspectives UN Vote on Myanmar: Why did South Africa Abstain? South Africa’s shameful decision to “sit on the fence” during the United Nation’s recent vote on Myanmar, has come under attack, and rightly so. Since the Rohingya crisis caught the attention of the world during August 2017, not much has been done to hold the perpetrators of heinous crimes accountable. At the time pictures and reports circulating via mainstream and social media platforms depicting the horrors faced by the Rohingya at the hands of Myanmar’s armed forces, shocked the world. 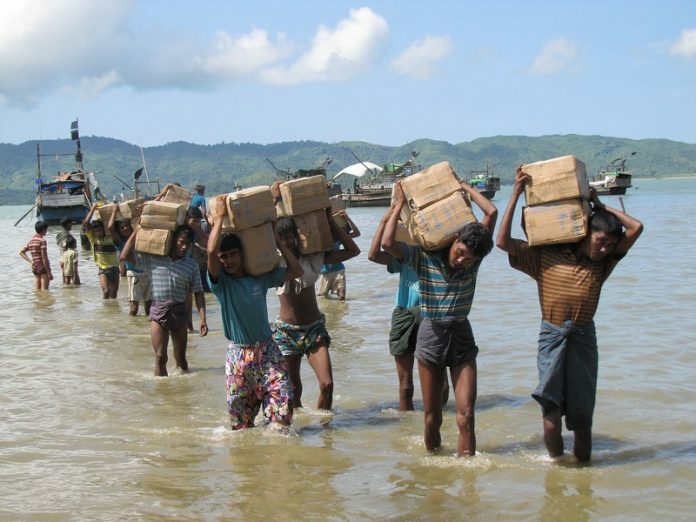 Sustained attacks against the Rohingya’s killings, maimings, rapes, arson – formed patterns of grave violations, resulting in waves upon waves of terrified, defenseless people fleeing to neighboring Bangladesh. The ethnic cleansing of Rohingya Muslims in Myanmar, which global powers initially refused to acknowledge, soon became evident as reports by human rights groups added to their veracity. Indeed, various formations within the United Nations made damning findings implicating Myanmar’s military. Much to the disappointment of Myanmar’s Rohingya Muslims, South Africa abstained from voting in support of the latest UN resolution. The General Assembly resolution which condemned Myanmar’s human rights violations against the ethnic Rohingya, garnered a total of 142 countries in favor, while 26 nations, including South Africa, abstained. The Department of International Relations (DIRCO) will have to provide an explanation for its inability to demonstrate a position informed by the country’s commitment to human rights. The reasons, if and when provided, will have to be compelling enough to persuade cynics that South Africa’s foreign policy is not hinged on the dictates of BRICS. Members of the BRICS formation, China and Russia voted against the resolution, while India joined South Africa in abstaining. Surprisingly Brazil voted for it. As news spread about South Africa’s abstention, the dominant demand as reflected on social media platforms is for answers. Why has the country’s foreign policy failed to accept that ethnic cleansing and human rights violations have to be held to account? Amnesty International’s decision to strip Aung San Suu Kyi of it’s highest honor for her shameful betrayal of the values she once stood for, reflects the principle which South Africa sadly lacked during the UN vote. The depth of disgust and abhorrence of Myanmar’s racist policies and practices is widespread amongst international activists who have fingered the Nobel laureate as complicit in her regime’s genocide of the Rohingya. Just as South Africa under Nelson Mandela attained global recognition for moral and political authority, so too did Aung San Suu Kyi. Unfortunately for both, the tragic reality of Rohingya’s persecution, has cast doubt on whether their moral authority has any relevance today. South Africa’s refusal to vote in defense of the freedom and justice so desperately sought by a million-plus Rohingya living as refugees in horrific conditions in neighboring Bangladesh, is as shameful as Suu Kyi’s abetting of genocide.